The first stage of the Sovereign Hills town centre is proposed to be open for business in late 2019 according to the Lewis Land Group (LLG), the developer of the fast-growing master planned community. 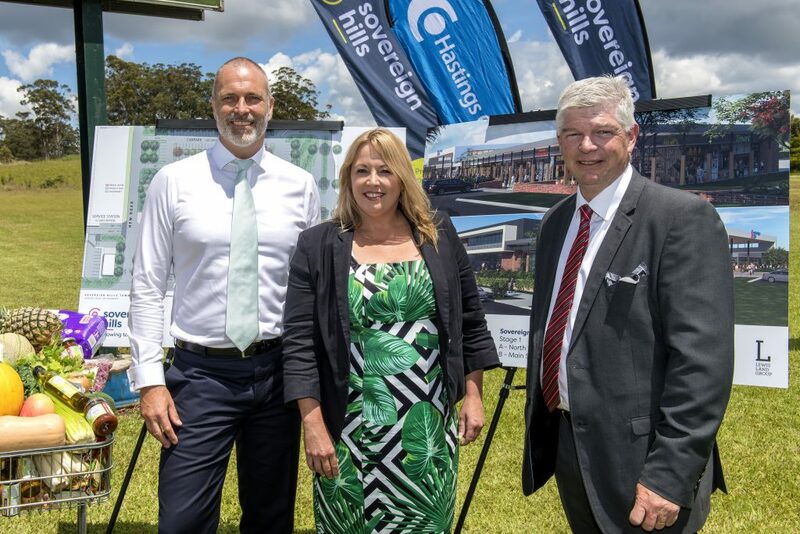 LLG chief executive officer Chris Calvert made the announcement on the site of the future development today as Port Macquarie Hastings Mayor Peta Pinson was shown the first architectural images. “We anticipate commencing construction early next year, and opening to the public before Christmas 2019,” Mr Calvert shared. 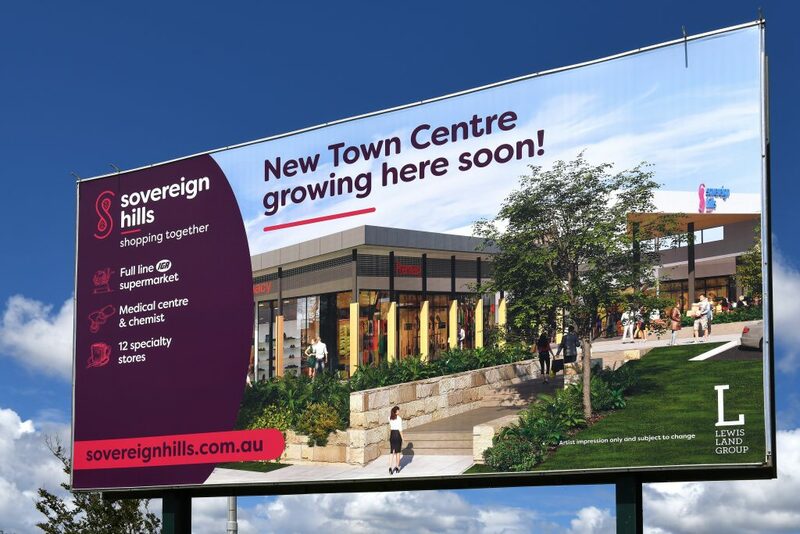 “We are extremely excited to be bringing the Sovereign Hills town centre to the market. We will provide our customers with a convenient and contemporary shopping centre, designed around a central theme of the outdoor shopping experience. This will comprise a superior food offering, ambience and interactive social spaces, consistent with the unique outdoor shopping experience that our Harbour Town brand is renowned for. Stage 1 comprises 4,500sqm of retail space surrounded by landscaped areas at the junction of Main Street and John Oxley Drive, with the town centre to grow in stages to more than 25,000sqm. On site for the announcement was the Hastings Co-op which will provide a full-line IGA supermarket with a hardware and liquor offering, to be supported by a range of specialty stores. Chief executive officer Allan Gordon said Hastings Co-op was proud to be part of such an exciting development. “The store will become an integral part of the Hastings Co-op family of businesses and provide a much-needed facility for not only the residents of Sovereign Hills but beyond,” Mr Gordon stated. “When complete, we expect to create around 100 new jobs from management to entry level positions right throughout the store. “Uniquely our store will incorporate a full-service hardware store where customers will be able to buy anything from a hammer to their landscaping supplies. Covering over 600sqm, the hardware component will add a great dimension to our offering. Stage 1 of the town centre will also feature a medical centre and pharmacy superstore, Your Discount Chemist. The open-air design will feature roof-mounted solar panels. Rain water harvesting will be utilised for all landscaping irrigation while recycled bricks and natural timbers will form key architectural features of the building. Upon completion, the Sovereign Hills master planned community will be home to 2,000+ new residences, onsite schools, childcare, recreation facilities, and, shortly, the new town centre. We would love to hear from you if you have an enquiry regarding our company or projects.